Botanicals are a well-loved organic skincare brand, not only amongst natural beauty fans but amongst green beauty bloggers too. 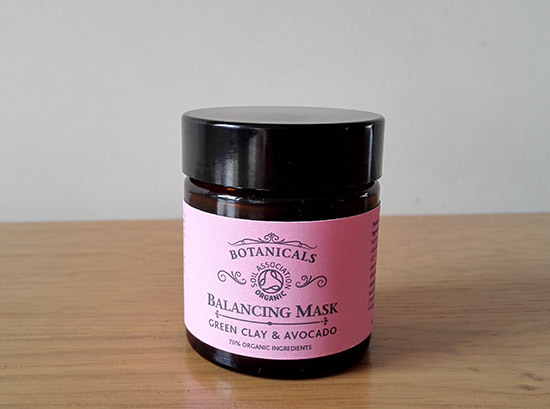 Recently I’ve been trying their Green Clay & Avocado Balancing mask* which has been sent to me for review (£18.95 – 60g). This mask is 100% natural and certified organic by Soil Association. It’s ideal for all skin types but especially for oily and problem skin. If you have dry, mature or sensitive skin, Botanicals also have Rose clay & rosehip Revitalising Renewal Mask, suitable for these types of skin. 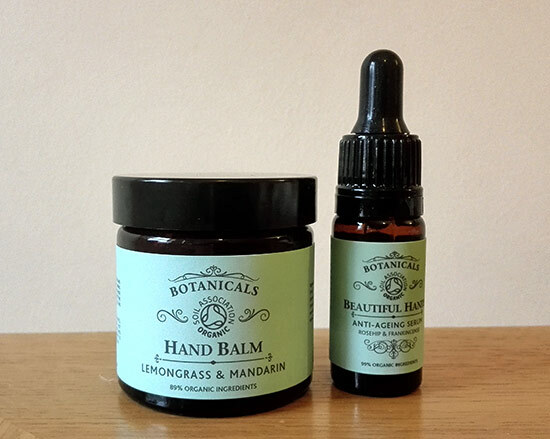 Just in case you haven’t heard of Botanicals brand before, their products are a pure joy to use – they are all beautifully scented and made with the highest quality natural ingredients which are pure and safe for a human and environment. What’s more, their products are blended by hand and cruelty free. The brand is totally against animal testing, and operate a non-animal testing policy for all their ingredients. Green Clay & Avocado Balancing mask appears pretty solid at first sight but once you dig your finger in you realise it’s not hard at all. It’s thick and concentrated with a balm-like consistency. Once you spread it onto the skin, the heat of the skin makes it melt, turning it into an easy-to-spread oily paste. It’s not like anything that I tried in the past. It doesn’t get dry on the skin, becoming hard like some conventional masks do and it doesn’t leave the skin feeling dry and tight after I’ve used it. Lately, my skin has been feeling drier than normal in places (I have a combination skin) and luckily Botanicals’ mask didn’t make the condition worse, it actually left my skin feeling nice and soft, with no sight of dryness or feeling of tightness afterwards. This is due to nourishing ingredients it contains such as sunflower seed oil, shea butter, avocado and jojoba oils. This combination of oils helps to moisturise the skin and also helps to treat any redness and roughness. Mediterranean green clay on the other side, helps draw out impurities and eliminate dead skin cells. Just to mention that the product is really concentrated (does not contain water), therefore a little goes a long way – this makes it a great value for money too. If you are looking for a good natural mask which is also organic, natural organic masks from Botanicals are definitely worth considering. I would definitely recommend Green Clay & Avocado Balancing Mask which I tried and that’s because it doesn’t dry out the skin, it helps to treat skin irritations and spots and leaves the skin feeling nice and soft. Have you tried any of Botanicals’ masks yet? 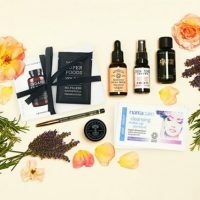 What’s your favourite natural mask? *PR sample. My honest opinions always provided.